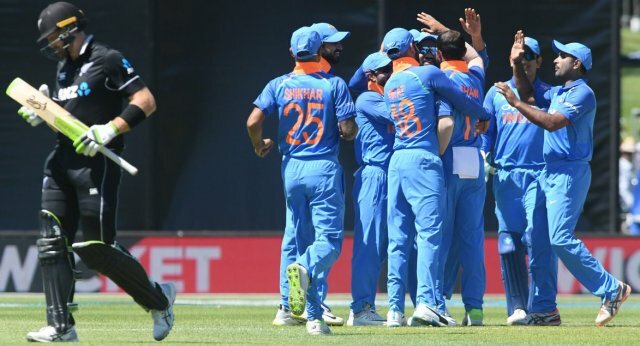 ONI Bureau: India registered an 8 wickets win against New Zealand 1-0 in an ODI in Napier, New Zealand for the first time since 2009. Set only 158 to win, India achieved the target in 34.5 overs. While, Virat Kohli overtook Brian Lara, become 4th Indian in the top 10 of ODI’s leading run-scorers , Shikhar Dhawan (75*) reached at the 5000-run mark in his 118th innings in ODI cricket today. Similarly, Mohammed Shami becomes fastest Indian bowler to complete 100 ODI wickets. Mohammed Shami has been declared Man of the Match for his outstanding performance in the first ODI of five-match series.